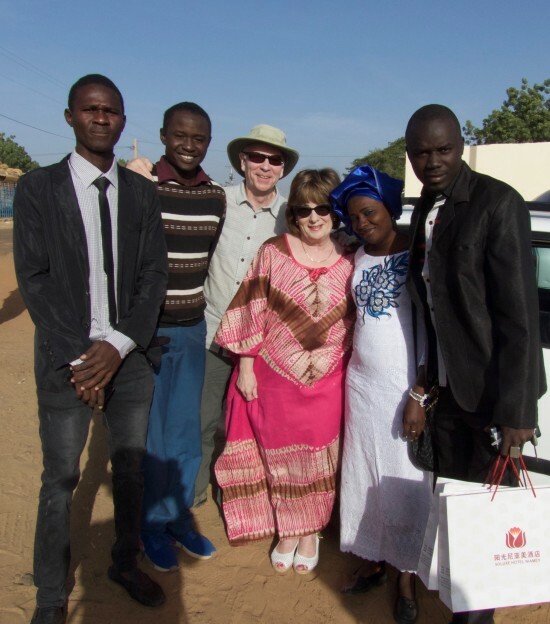 » An incredible trip to Niger, January 2018! Posted by admin on January 19, 2018; This entry is filed under Uncategorized. 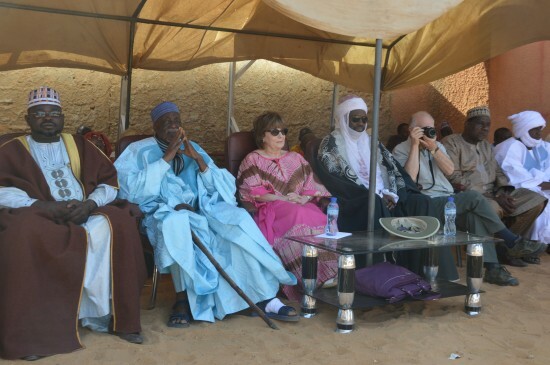 After a successful trip to Paris for the five year planning conference on the Renaissance of Niger, John Craig, from Eliminate Poverty Now and I headed to Niger for many followup meetings. It was an incredibly busy and productive trip. 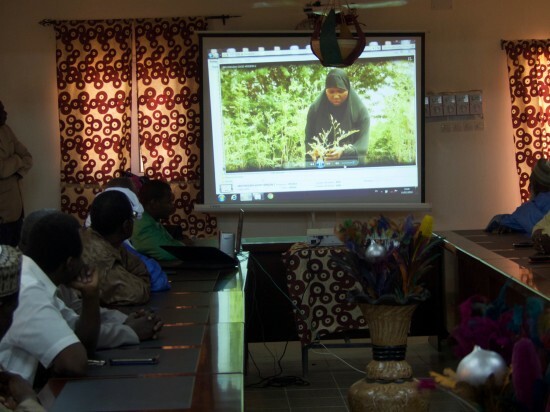 We officially launched our Training Centre for Horticultural Technicians in Libore, on the same site as our Education and Apprenticeship Centre. 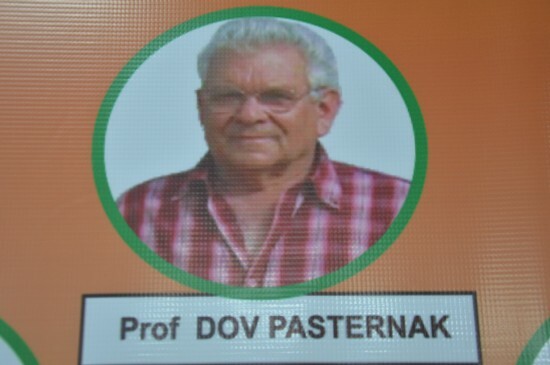 We named it in honour of Professor Dov Pasternak, whose vision and leadership are responsible for the Farmers of the Future program. 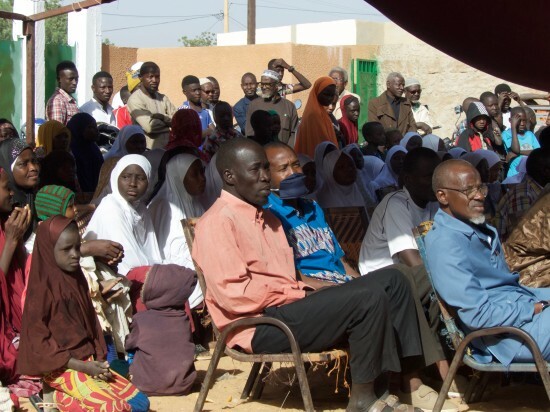 Dov has devoted 50 years of his life to agriculture in dry regions, 10 of those working for ICRISAT in Niger, and the next ten leading our project. The new training room is large, beautifully furnished, and can seat 70. It’s the finest conference room in the area by far. 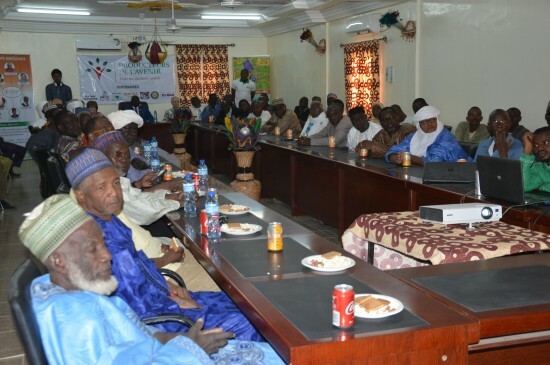 We invited lots of people: people who worked with Dov during his years in Niger, everyone who has played a role in our Farmers of the Future (FOF) development, representatives from all the FOF woman’s associations, and officials of all sorts. There were several speeches delivered in the courtyard, including my own, on behalf of our Team, this time in French. We arranged for tv coverage. The entire event was recorded and a clip appeared on that night’s news. After the speeches, everyone entered the room where we screened one of our new FOF training videos which drives home key messages of the FOF philosophy in a very entertaining way. People were laughing, so they definitely appreciated the humour in it. 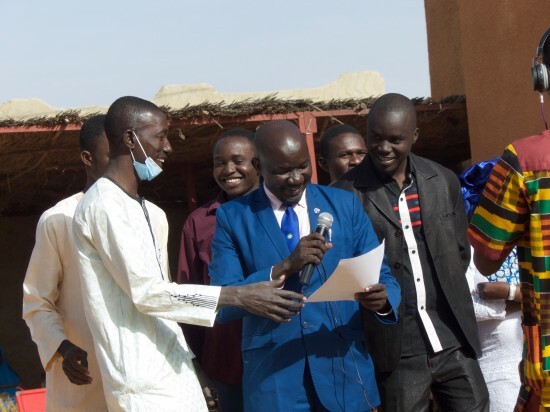 And friends of Dov’s started sharing their memories of him and the important changes he brought to agriculture in Niger. After the ceremony we’re heading back to the car when the officers from the Sadoré Women’s Association call us over. These were the original pioneers of FOF and have become highly successful. They said they used to refer to Dov as the “Father of the Poor” but they can’t call him that anymore. For them he’s now the “Father of the Rich!” They have made a lot of money using Dov’s training, and are now so much better off than they used to be. Their speciality is tree nurseries. “Professor Dov is sorry he cannot be with us today. 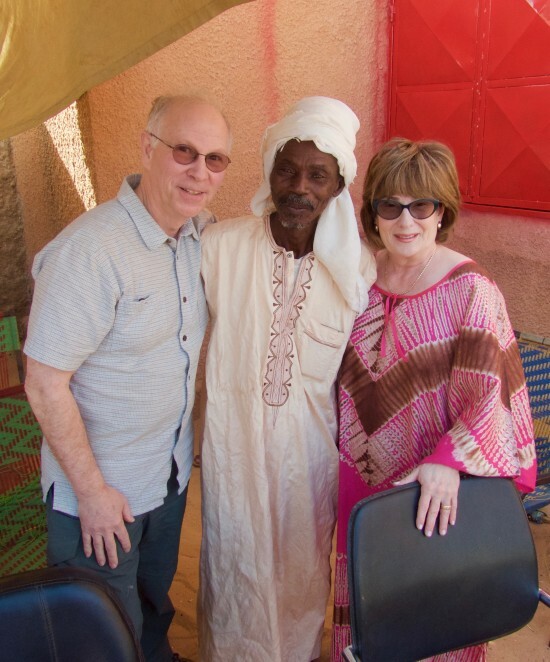 Dov loves the people of Niger. He has often said you are the most gracious, kind and hospitable people he has ever met in his life. 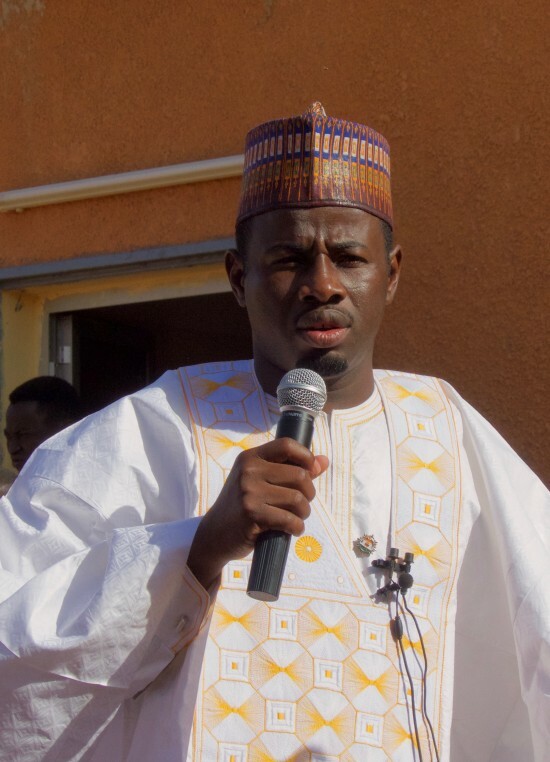 He has dedicated over 20 years of his life to improving the lives of the people of Niger through agriculture. He is one of the finest people that John, Hamani and I have ever met – a man with humility, integrity and determination. It is fitting that we name this Training Centre in his honour. It will be forever called the Professor Dov Training Centre. And we hope it will inspire a new generation of technicians, men and women, to follow in his footsteps. Thank you for calling this Centre in my name. Niger has plenty of water, plenty of sun and plenty of hard working people. 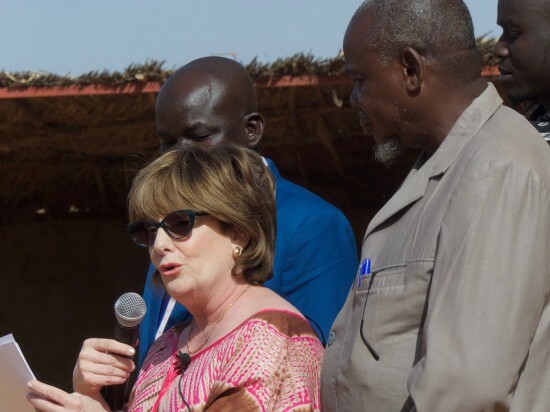 I am fully convinced that Niger can get itself out of poverty. What it most needs is the provision of skills that will lead it out of poverty. Our sites look terrific. There are now 18 FOF gardens, in 11 villages. 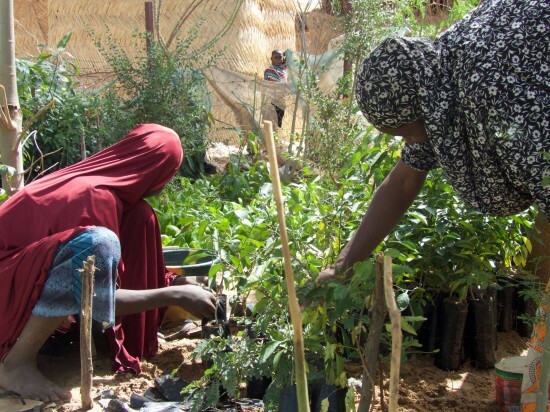 Gueriguinde specializes in Tree Nurseries, like the Sadore women, and when we started this garden back in 2010, it was largely empty and we were concerned it wouldn’t ever take off. In fact we brought the Sadore women to inspire them years ago. 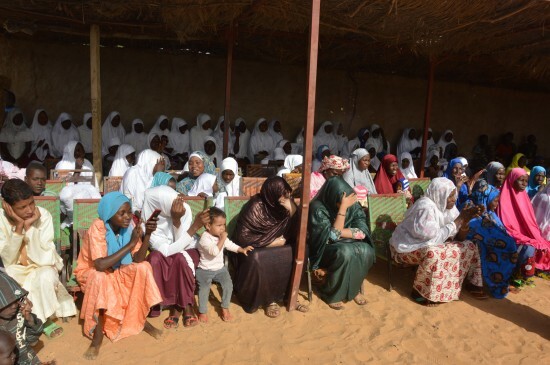 Today, it was packed with plants and the women replace the plants as soon as they are sold. In Ecole Centre they specialize in Moringa, and in Gonzare there were onions everywhere, in neat rows, waiting to be harvested. The Leadership Academy will become our Education Site, where we hope visitors will come to get explanations, see our videos, etc…..and be a place where school buses with students, women’s groups and other associations can come to see what we are doing. 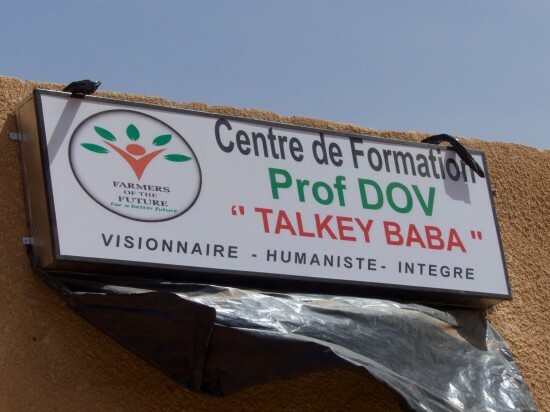 John went to our other sites 90 minutes away in Balleyara that we started nine months ago, and they were amazing. They have much more land to use, and the women are strong and enthusiastic. We brought them in for the Opening of the Training Centre and they insisted on speaking and sharing their story of hope. Women from each site were represented at this Ceremony. We had meetings from morning until night with potential donors as well as Government officials. 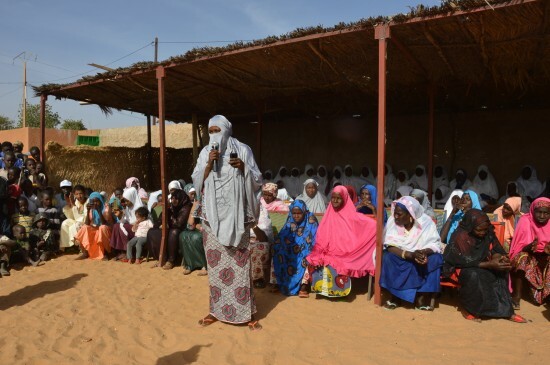 We met with the Minister of Education, the Minister of Agriculture, the Minister of Technical and Vocational Training, the Minister for the Empowerment of Women and the Minister of Planning. All are now fully aware of our Farmers of the Future program, are supportive of the concept, and are finding ways to help us start our Training program. I can’t believe it has been 12 years since we began, wanting to help a few children acquire the pencils they needed. Today we have a fully independent Cooper Sewing Centre, Scholarships for Girls, and income generating gardens for hundreds of women. We are looking forward to what the future will bring next and are forever grateful to our team, partners and friends who have helped us get this far!